Today we launch our latest course, Violence, Myth, and Scripture with Suzanne Ross, and it’s seems a timely class to be offering, in the midst of the troubled events of recent weeks. Using Rene Girard’s Mimetic Theory, Suzanne corrects some common misconceptions about violence in our faith tradition, and explains the difference between myths (where violence is naturalized) and scripture (where violence is highlighted, for a purpose). In this course, she reminds us that violence is not sacred or of God; rather, it is a symptom of our fallen state, and an illness that grieves God. It’s an affliction that we Christians are called both to understand and to begin to remedy. We invite you to take this course as a way to begin effecting change in our troubled nation. It’s also available in For Groups format for small-group use. Click here for more information or to register. Suzanne Ross is an expert in mimetic theory. She is an author, respected lecturer, and co-founder of The Raven Institute. You may sigh inwardly when you see the word “Charleston” now, tired of all the news and posts and commentaries and analyses of the past week. And yet we cannot turn away from this event — we should not turn away, nor feel cynical and discouraged when things like this happen. Because we are the very people — we believers — who are called upon to remind people of the hope of the Gospel, of God’s charge to us to be instruments of peace, vehicles for transformation, messengers of love. Even in the midst of — or perhaps because of — such terrible news happening seemingly all around us. If the violence in Charleston is weighing heavily on you, causing you to wrestle with those big questions about evil and the nature of God, we also commend to you any of the following courses already in our library. Why not arrange a small group discussion within your faith community, as a way not only of remembering the martyrs in Charleston, but of actively seeking to effect change by fostering discussion, dialogue, and time for prayer? Make us instruments of your peace, Lord. New course: Let the Women Speak! Today we launch Let the Women Speak, a fascinating overview of some of the most memorable — and yet under-remembered — women in the Bible. Lindsay Hardin Freeman, Episcopal priest and author, does a wonderful job sharing her wisdom and passion about these female figures and all we can — and should — learn from them. As Lindsay reminds us, though women had very few rights and opportunities, they made a remarkable impact on the stories of the Bible. They were often God’s “surprising agents;” they were the original social media; they thrived within, or overcame entirely, their circumstances — they used what they had, to do what they could. There’s a lot we can learn from these women, in terms of their strength and courage, their pluck and resourcefulness, their lack of self-pity and their commitment to those for whom they cared. Join us in this course, or perhaps in a Small Group setting, as we listen to those voices from long ago that still say so much. Click here for more information or to register. 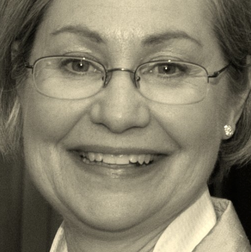 Lindsay Hardin Freeman, a Minnesota-based Episcopal priest, has won over thirty awards for journalistic excellence, including the 2015 Gold Medal Award in Bible Study from Independent Publisher. 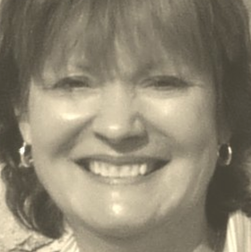 A popular speaker and retreat leader on Bible women and contemporary spirituality, Lindsay is the author/editor of six books, and has served congregations in Massachusetts, Philadelphia and Minnesota. 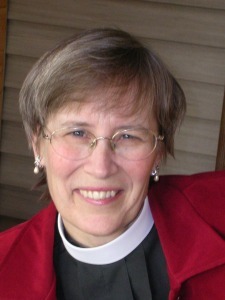 The long-time editor of Vestry Papers (2001 – 2010), she also serves as adjunct clergy for St. David’s, Minnetonka. – Real mothers seek, create and sustain life in the face of death, destruction and disappointment. – Real mothers do not stop claiming what is their right—to bear a child. – Real mothers love their people, forecast imminent danger, take steps to fight it, and serve on the front lines, ready to lay down their lives. – Real mothers are courageous in letting their children step confidently into their future. – Real mothers minister to others even in the midst of desperate circumstances. – Real mothers speak up and voice their pain, especially in times of tremendous grief. – Real mothers raise their sons and daughters to be faithful people, and to remain true to their teachings and values. – Real mothers unleash their deepest desires at Jesus’ feet—and when seemingly rejected, persevere in pursuing healing. – Real mothers stand up for and stand by their children and families, pursuing for them their best goal and godly vocations. – Real mothers, sometimes, at great personal expense, say Yes to God—and the the world is transformed. As Lindsay Hardin Freeman, author of this list and instructor of our latest course (launching Sunday) reminds us: these characteristics apply to all who serve as “mothers” — those who are biological mothers and those who aren’t. The women of the Bible are part of a “holy and sacred circle” — one that is still open. Stay tuned for Let the Women Speak, which launches Sunday. In the meantime, check out Lindsay’s wonderful blog and books by clicking here. Today we launch a wonderful course on hospitality, taught by Episcopal priest and author Elizabeth Geitz. As we know, welcoming visitors and strangers is a commission we have from God, and most churches make some attempt at a hospitality ministry. But there’s so much more to welcoming people than smiling and shaking their hands (though that is a start!). In Welcoming Visitors, Elizabeth reminds us what’s really going on when we practice hospitality; why it’s important; and key ways we can make sure that visitors and newcomers feel welcomed, heard, engaged, and incorporated, so that they become and remain active, involved members of our faith communities. This course also lends itself easily to Small Group use; perhaps your church’s leadership, or your existing Hospitality Ministry, would find this a welcome springboard for strengthening and renewing your programs. 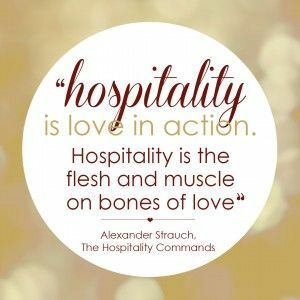 As Elizabeth reminds us, hospitality is a vital ministry, one to which not everyone is called, and one that benefits from ongoing training and prayerful discernment. We invite you to take and share this course, as we all seek to reach out to those around us, shaping disciples for Jesus’ work in the world. Click here for more information or to register. How does your church welcome visitors and newcomers? How does your church turn those folks into active, engaged members of the Body of Christ? The Episcopal Church Foundation offers some ideas here. A pastor of a large non-denominational church in California offers the “LINE UP” rule. BuildFaith.org offers even more advice here. This Sunday, we’ll be launching our latest course on Church Management: Welcoming Visitors with Elizabeth Geitz offers practical wisdom on the ministry of hospitality as well as why it’s so important, both for visitors and for long-term church members. Hospitality is about remembering the sacred importance of every single person who walks through the church doors. It’s about listening for the needs of those who come to church — since everyone who comes does so for a reason, whether they realize it or not. Does your church practice intentional welcoming? Does it follow up with visitors and newcomers? Does it give thanks each worship service for the visitors in your midst? Does it make it easy for a newcomer to really get involved? Do you know everyone’s name in your pew? 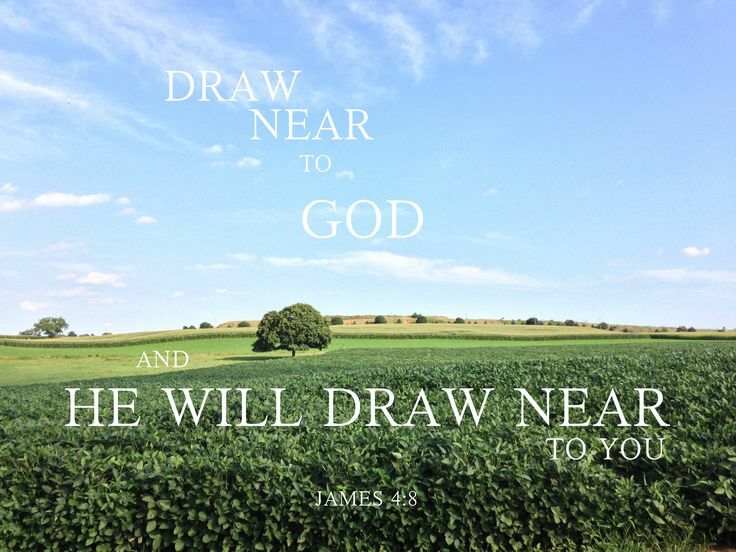 How is God calling you and your church to welcome visitors? You might be interested in Elizabeth Geitz’s book, Fireweed Evangelism: Christian Hospitality in a Multi-Faith World. And stay tuned for our course launching Sunday. We’re excited to launch Radical Welcoming today, led by the Rev. Canon Stephanie Spellers. What is “radical welcoming”? Well, it’s more than just friendly greeters at the church doors, and easy-to-follow service bulletins. It’s more than serving the hungry from one side of a soup kitchen line. It’s more than “tolerance” of those we see as different. It’s nothing less than the kind of love that Jesus offered to those on the margins of society: the unclean, the sick, the poor, the prostitute. It’s acknowledging that life has been different for those not in the traditional center of power and privilege, and that there is wisdom to be gained from listening to those we have so often pushed aside. It’s humble acceptance that those of us on “the inside” have a lot to learn from those on the outside. God’s church cannot be all it is called to be if it only welcomes people who abide by our conventions, restrictions, caveats, and customs. We cannot be fully Christian without acknowledging the rights, the dignity, the gifts of everyone. Radical welcome can be scary; it can induce feelings of guilt, when we finally acknowledge what we’ve so long pretended not to see. But Stephanie reminds us in this course that radical welcoming can be life-changing — that God is there waiting on the other side of our fear. God is calling us to reach out across the divides we’ve created, and work toward reconciliation and wholeness. It’s what Jesus lived and what Jesus commands. Church shouldn’t be always about comfort and safety — for growth and healing often require courage and daring. The Reverend Canon Stephanie Spellers is a popular speaker and consultant on reimagining the mainline church and embracing new mission contexts. The author of numerous books — including Radical Welcome: Embracing God, The Other and the Transforming Power of the Spirit and Ancient Faith, Future Mission: Fresh Expressions in the Sacramental Traditions –Stephanie is an Episcopal priest and serves as Director of Mission and Reconciliation at General Theological Seminary in New York City and as Canon for Missional Vitality in the Diocese of Long Island. She is one of two Chaplains to the Episcopal House of Bishops and recently chaired the Episcopal Commission on Mission and Evangelism.